Get ready for adventure with everyone’s favorite little monkey—Curious George! George is back with a whole lot of exciting things to do and learn in 8 more shows from his Daytime Emmy®-winning TV series. Join George as he goes on his first bike ride, chases rainbows, and meets canine royalty! 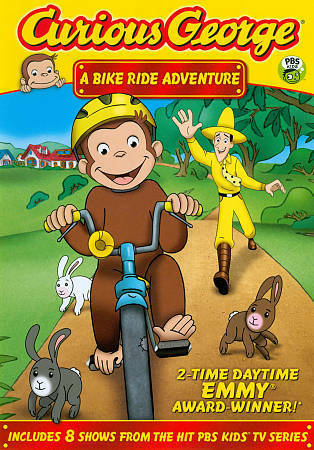 Every day is a special day with Curious George: A Bike Ride Adventure!